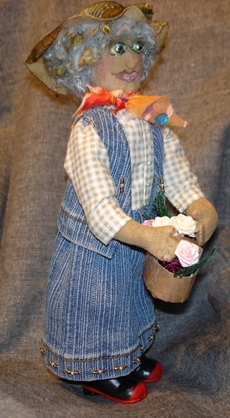 Fanny came to life from a sketch on a small note pad; she is 9" tall from her rubber boots to her garden hat. 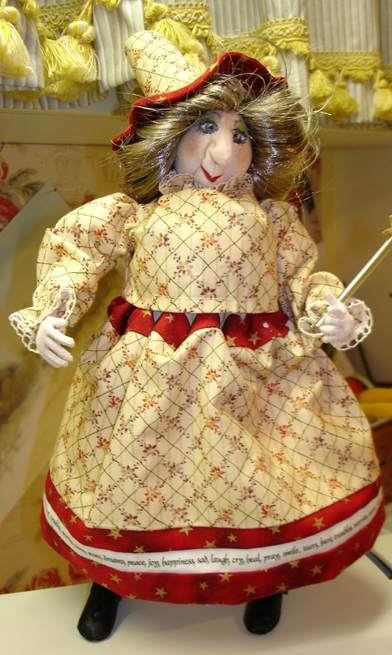 This is an original pattern, the spirit of it from the idea of creating a gift. Although satisfied that she has a sense of character, I can see where a few changes could be made. A very dear friend turned 80 this summer and as she and her husband enjoy life on their hobby farm I thought Fanny would fit right into their home. 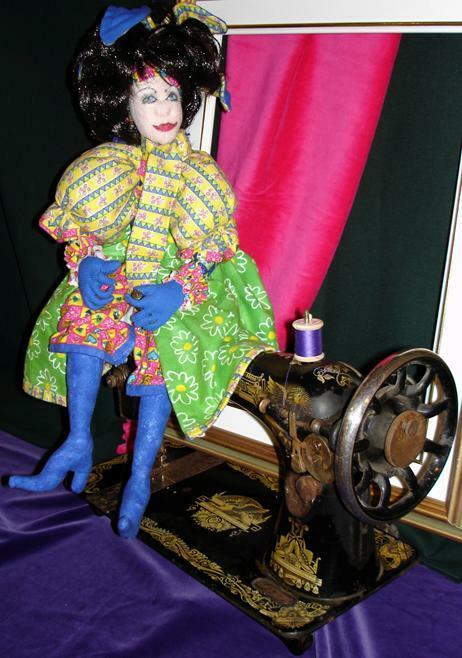 This is the doll that I designed in Peggy Wilson's class. Secret Keeper was designed by Julie McCullough. 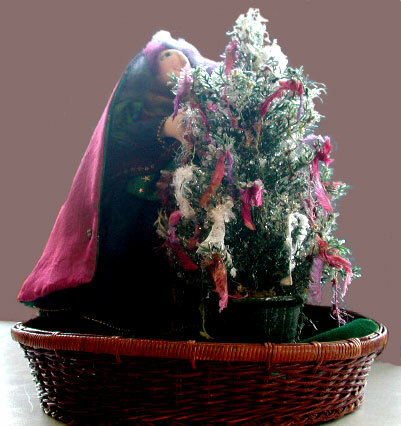 The tree is where the secret keeper stores here secrets; the different colours of the ribbons and wool represent the various troubles and joys she collects. 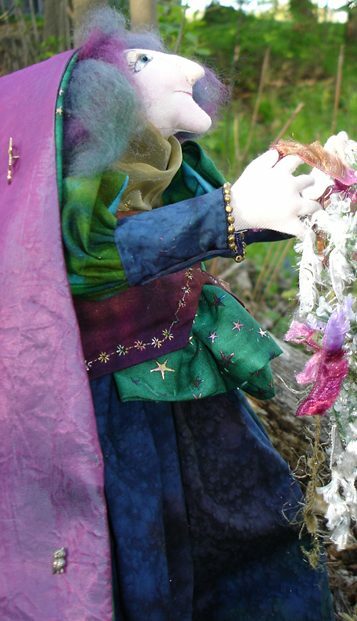 They were made for my nieces (sisters) as Christmas gifts from my first year of doll making. 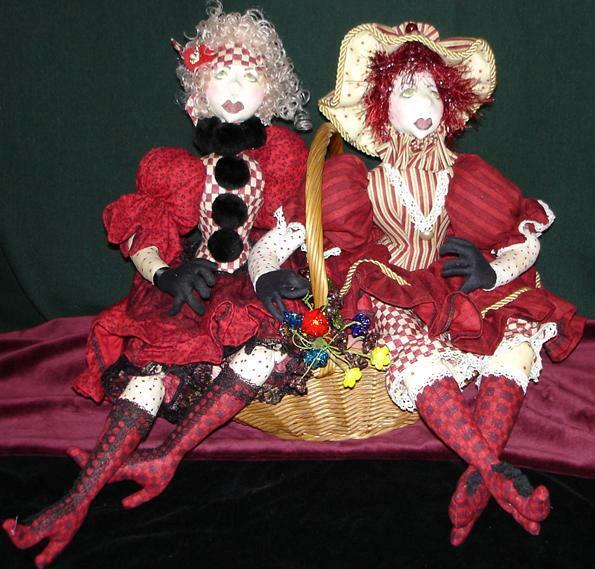 Ruby and Scarlet were my first 2 dolls made at one of Jacquie's wonderful classes! Lily is my first doll made from flannel. This pattern is Jacquie Lecuyer's pattern called Rectangles. Lily was a Christmas gift for my niece. 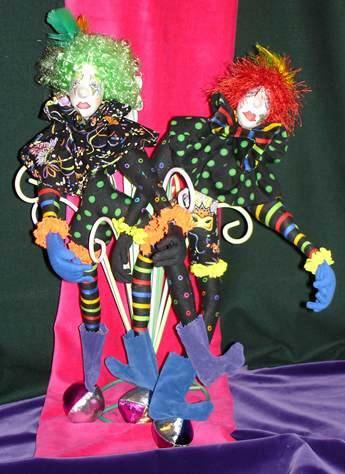 The Joke and Joker are also Christmas gifts and were Jacquie Lecuyer's pattern for the Jester and created during a class. This set was for my nephew and his wife.